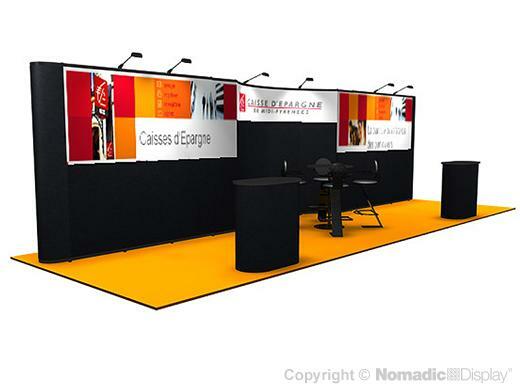 Choose this booth rental design or let us design one that meets your aesthetic, functional and budgetary requirements. Our booth rental features our revolutionary Instand® pop-up technology which saves exhibitors on expenses associated with traditional displays such as drayage and set-up. Draw your audience in with vibrant FabriColor panels which are Velcro®-compatible, durable, easy to clean and dent-resistant. Prominently showcase products on display counters so your brand is at its best vantage point.